Understanding the health of the world’s oceans is the key to understanding climate change and the state of the overall environment. Because of this, scientists are always looking for new technologies to help them monitor ocean water quality and changes in pollution levels. One way to determine water quality is by analyzing the distribution of light through the water, also known as ocean radiance. It is this light that provides the basic energy for photosynthesis which supports aquatic life. However, an accurate measurement of ocean radiance is difficult to achieve. 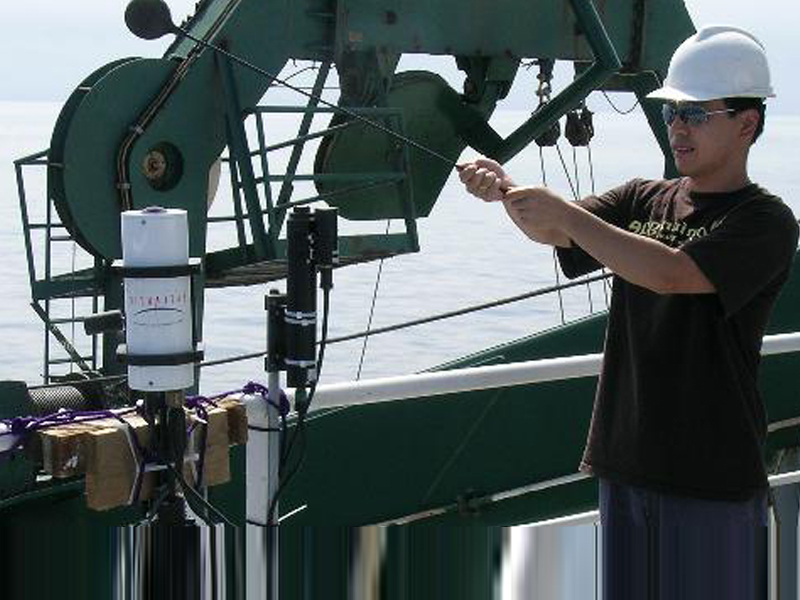 Through a Mitacs-Accelerate internship, Jianwei Wei, PhD student at Dalhousie University’s Department of Oceanography teamed up with industry partner Satlantic to help develop a new generation radiance camera. Halifax-based Satlantic is an ocean technology company that develops sensors for oceanic research and monitoring of water quality from remote platforms. “When I started the internship, Satlantic was planning to develop a new generation radiance camera to determine the distribution of light underwater, giving scientists an accurate interpretation of water quality and pollution,” Wei explained. Wei helped Satlantic develop and calibrate the camera so the light from raw images could be converted to radiance values. “The research internship has helped us establish the radiance camera as a reliable scientific tool and has given us a much greater understanding of radiance fields in the ocean. We foresee a large commercial market for the radiance camera system providing spatial, temporal and spectral information of the light field,” said Wei. Wei said the internship not only provided the chance to work on developing a new product with industry, but also the chance to work on a practical project on which to base his PhD thesis research. Satlantic’s Director of Engineering Development, Keith Brown, said the Mitacs-Accelerate program gave them the research expertise needed to develop a cutting-edge radiance camera for ocean optics research. Mitacs gratefully acknowledges the Government of Canada, the Networks of Centres of Excellence's Industrial Research and Development Internship program, the Atlantic Canada Opportunities Agency and the Government of Nova Scotia for their support of Mitacs-Accelerate in the province.